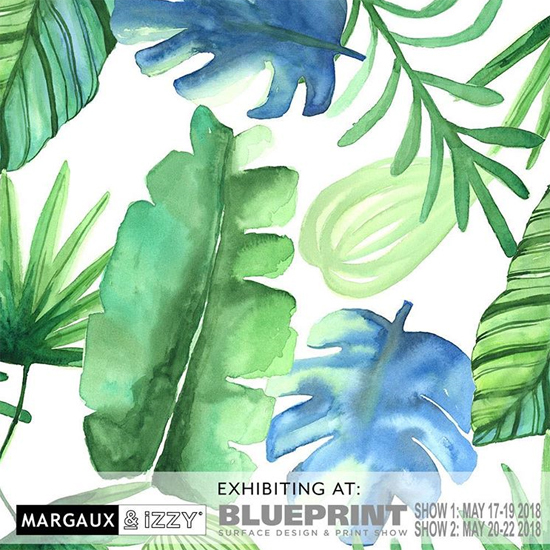 Margaux + Izzy & owner Liz O’Brien will be showcasing inspired collections that reflect her latest handpainted watercolors and digital illustrations. 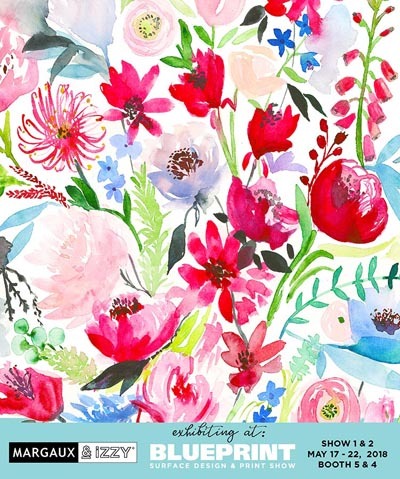 She is recognized for her love of organic florals, whimsical illustrative characters, rich holiday prints and beautiful watercolor hand. Margaux + Izzy will be showing at both Blueprint Shows 1 + 2, Booth 4 & 5. 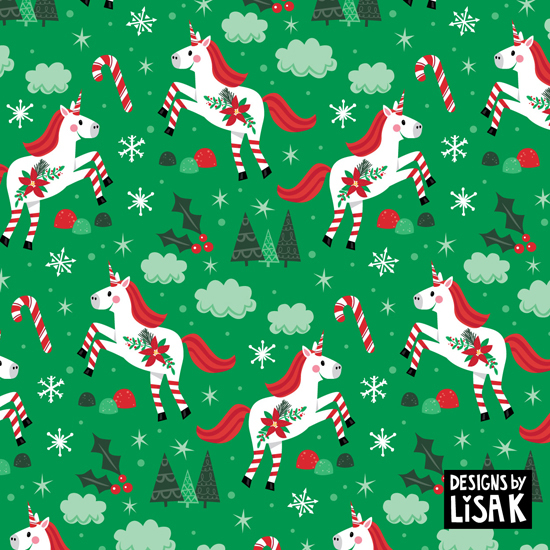 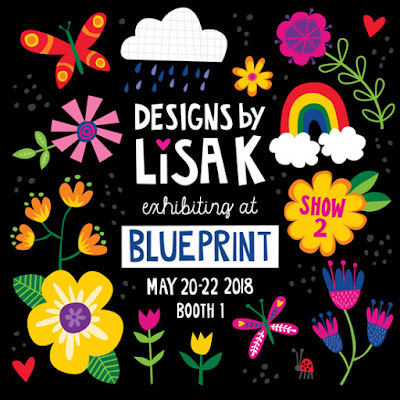 Lisa Kubenez of Designs by Lisa K is an artist based in sunny South Florida. 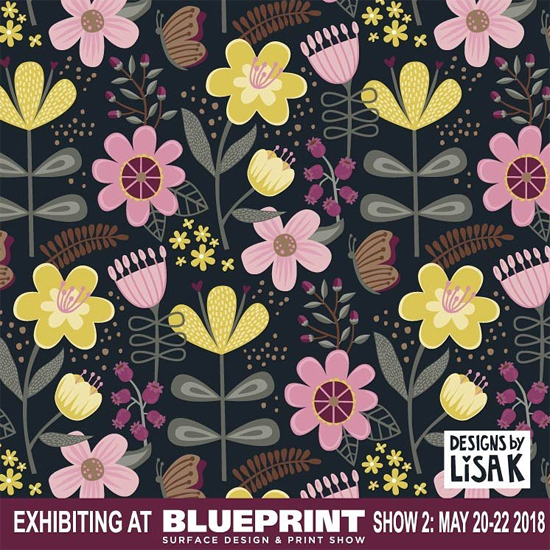 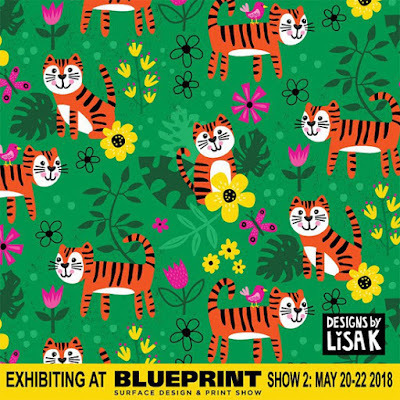 She is looking forward to showing her whimsical surface patterns and illustrations at the Blue Print Show 2 in New York in May. 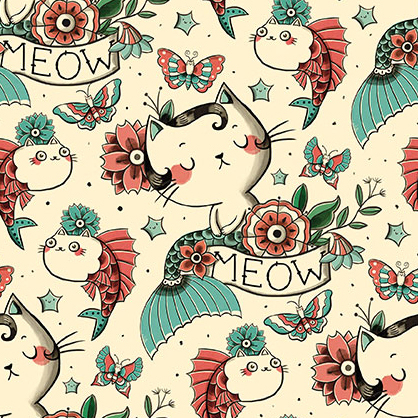 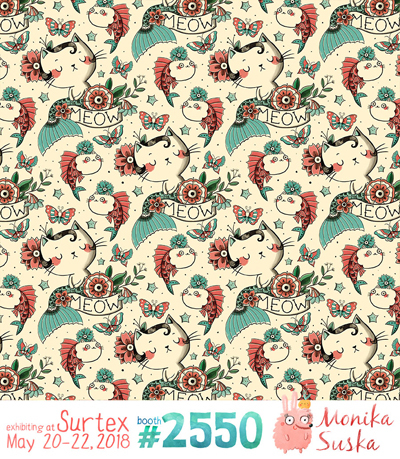 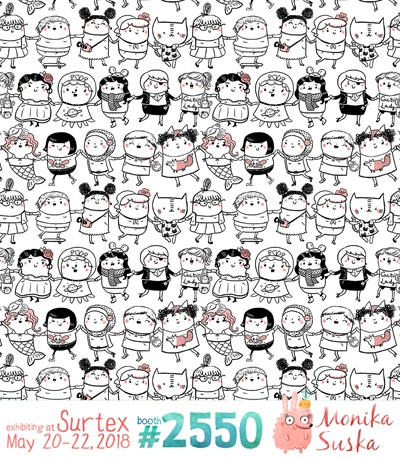 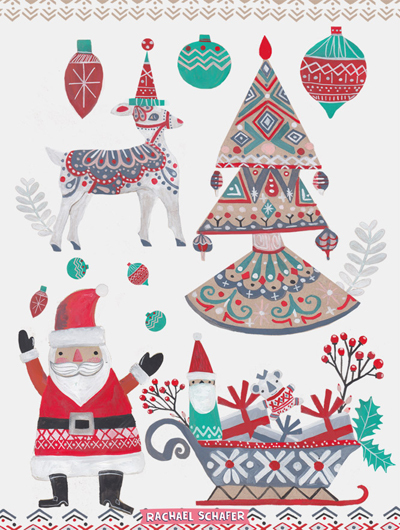 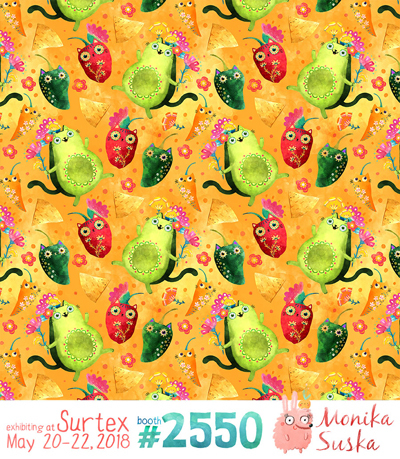 Designer Monika Suska from Warsaw in Poland will be exhibiting at Surtex this year in booth 2550. 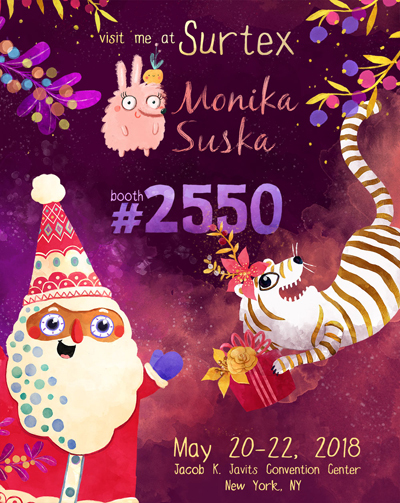 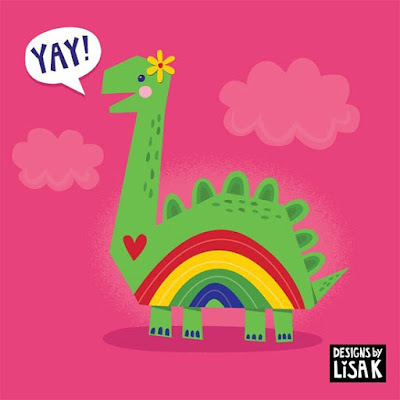 Monika loves to create cute and often quirky characters, and she sent in some of her newest work which will be available at the show in NYC next month. 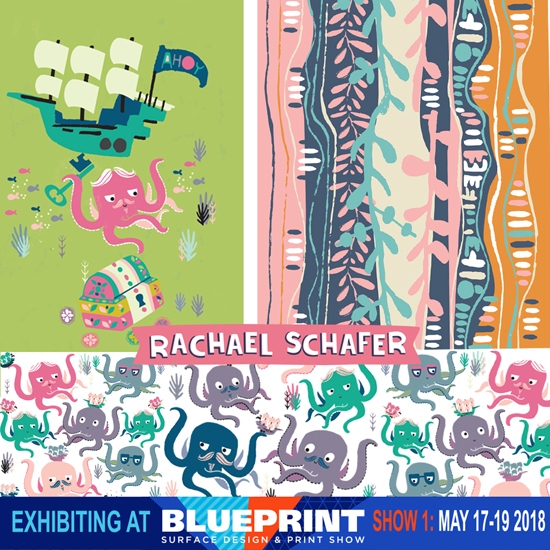 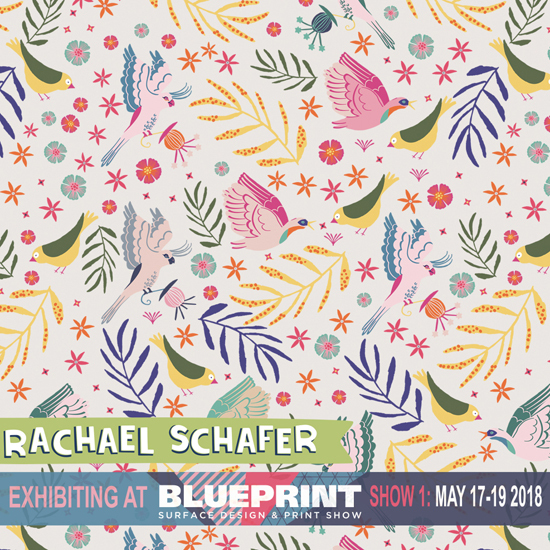 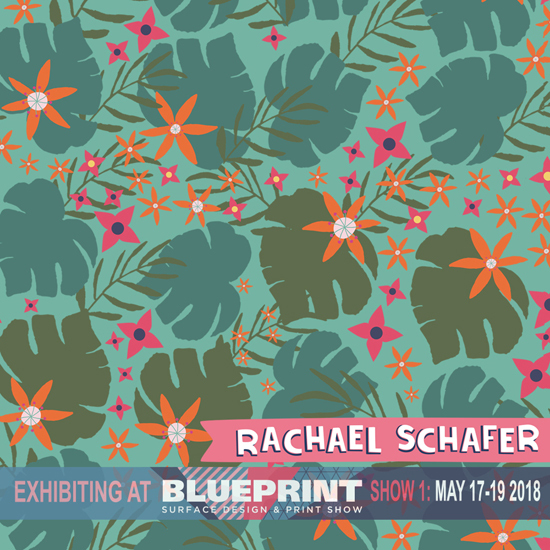 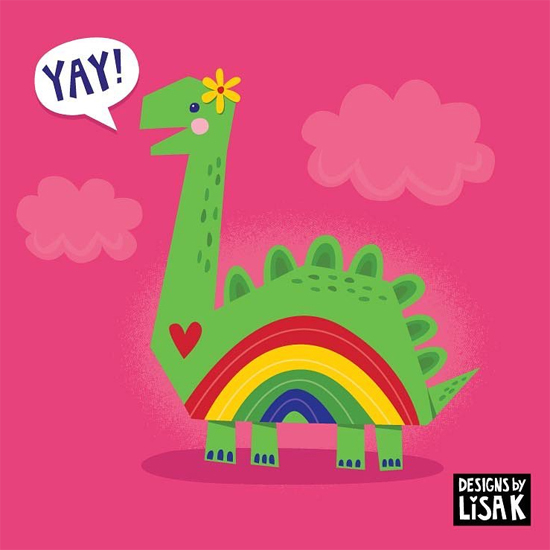 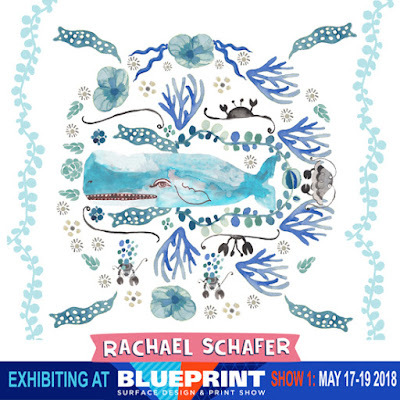 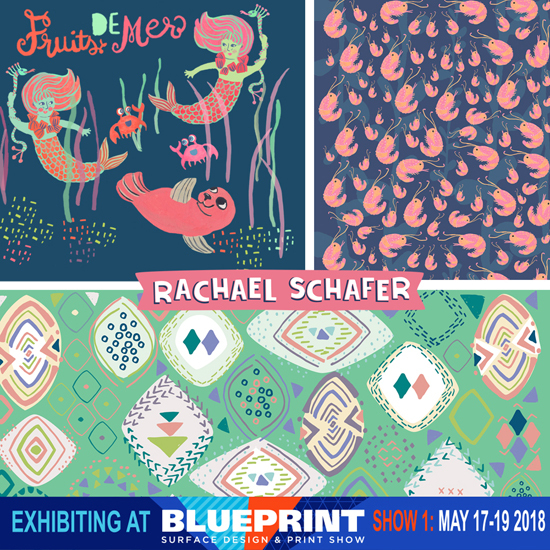 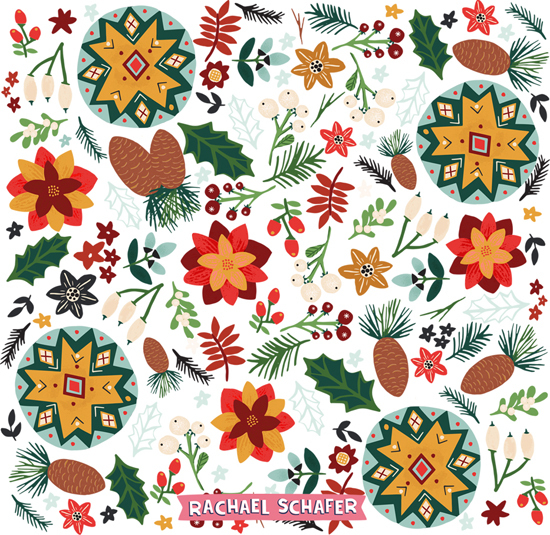 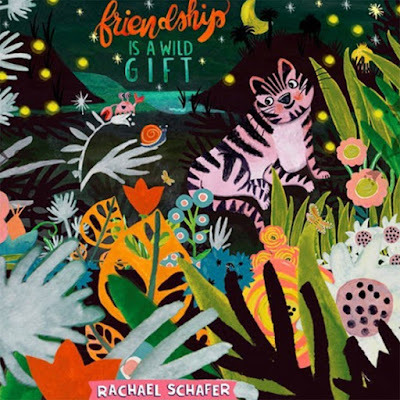 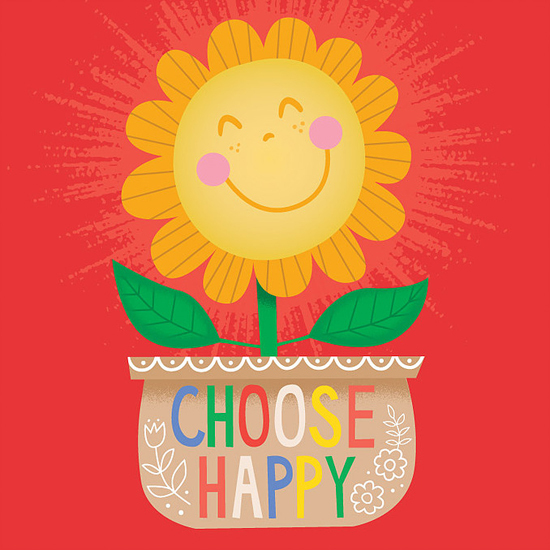 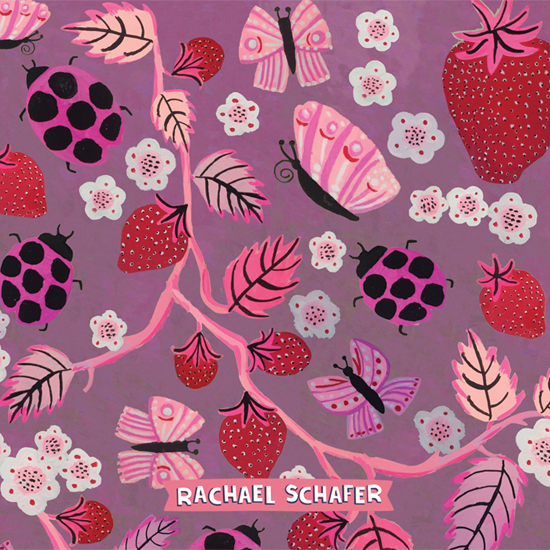 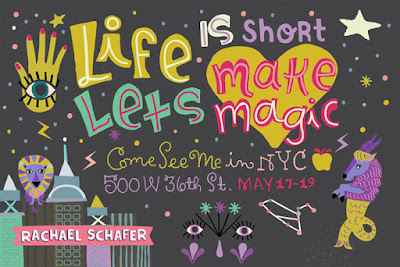 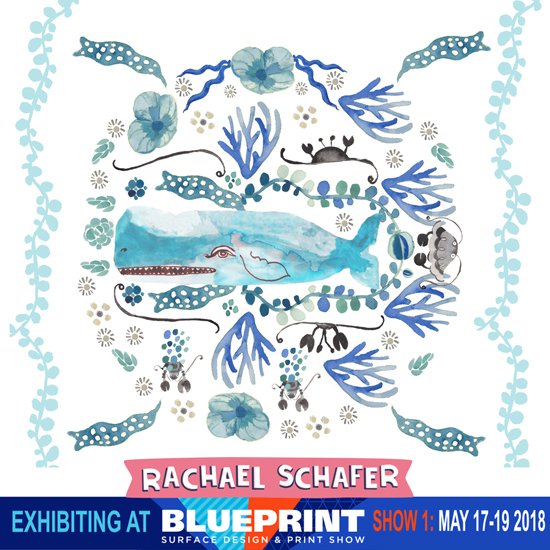 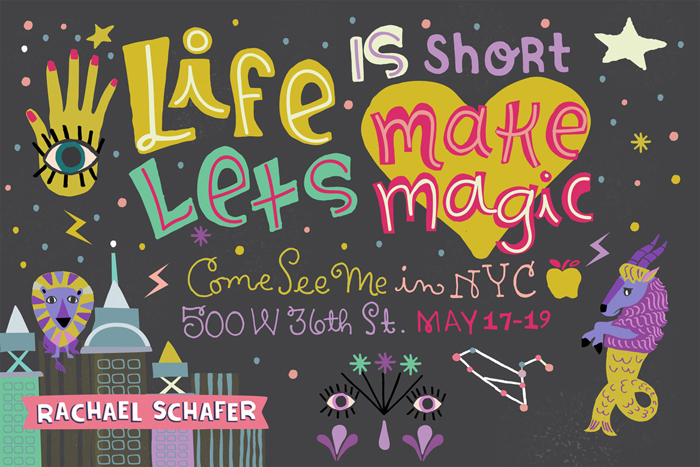 Rachael Schafer will be at Blue Print next month and today we have some of her beautiful new portfolio pieces that will all be available for licensing at show. Art directors with projects in mind can Email Rachael to book an appointment, or you can just drop by and see her in New York at Blue Print Show 1 Booth 8. 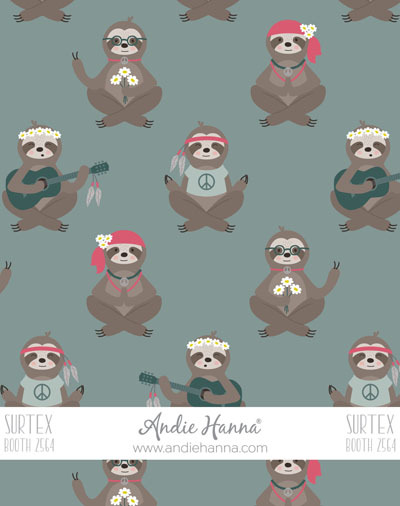 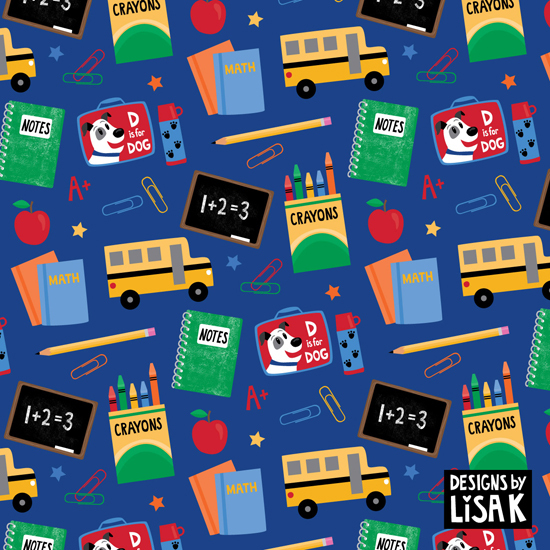 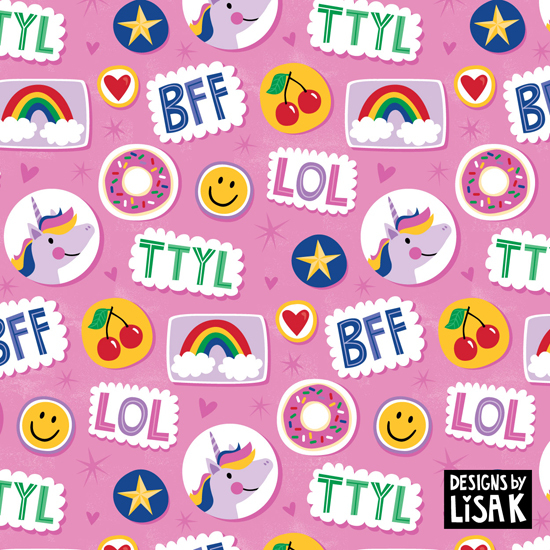 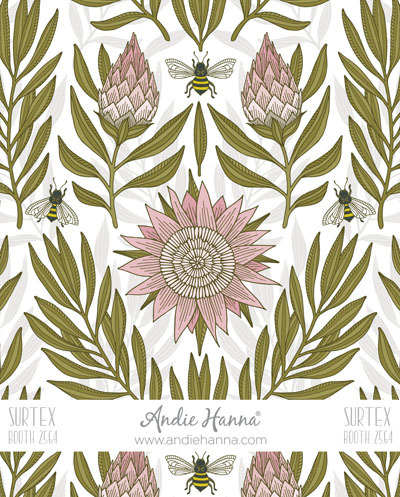 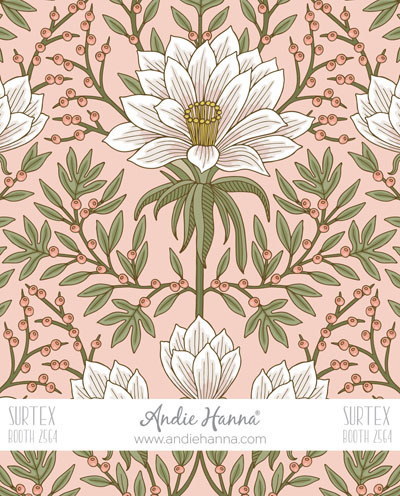 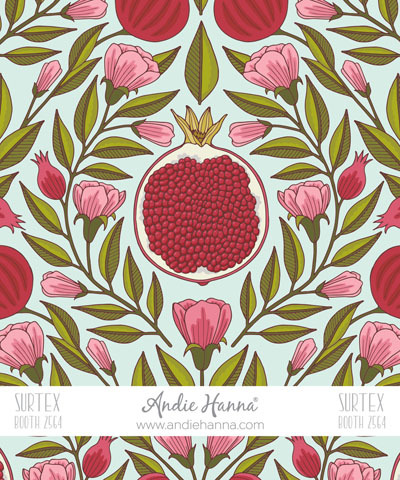 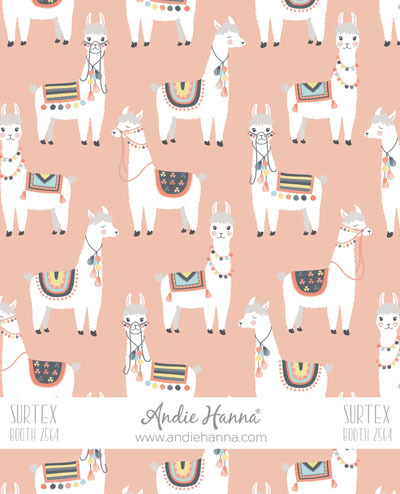 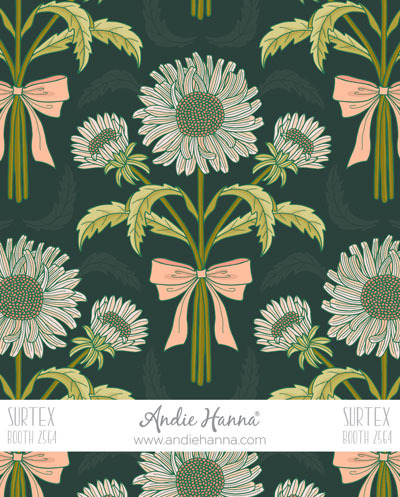 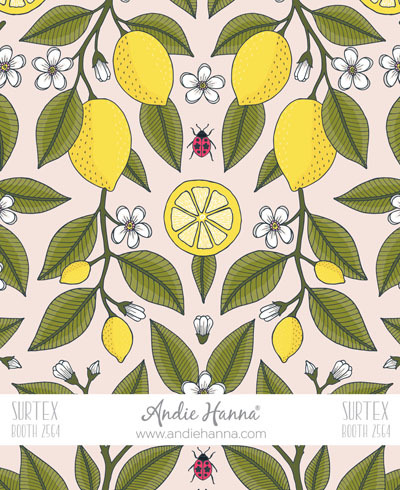 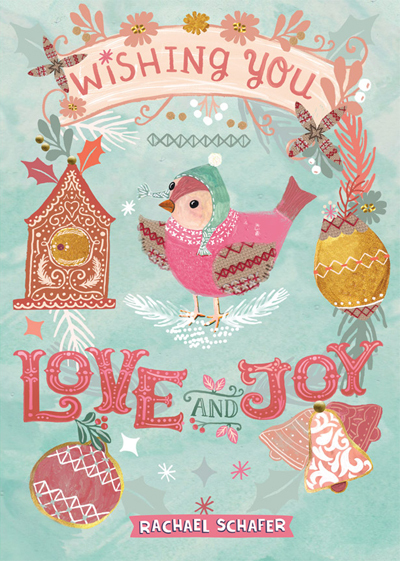 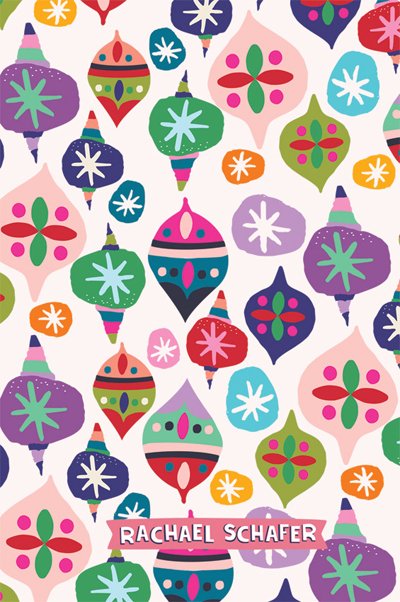 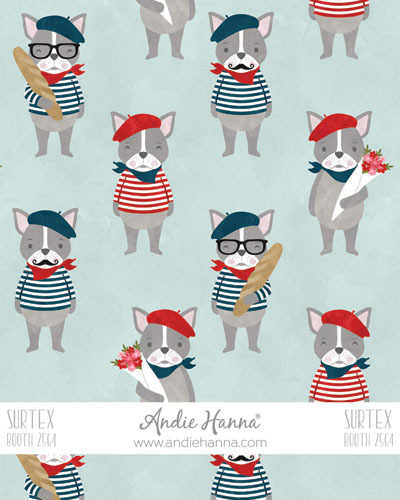 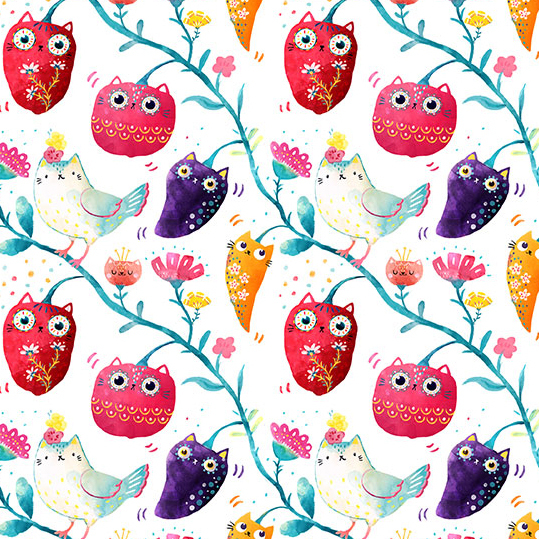 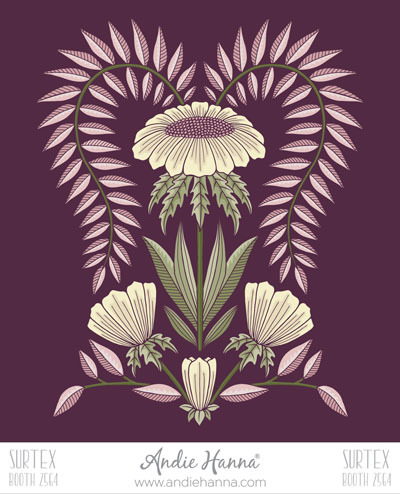 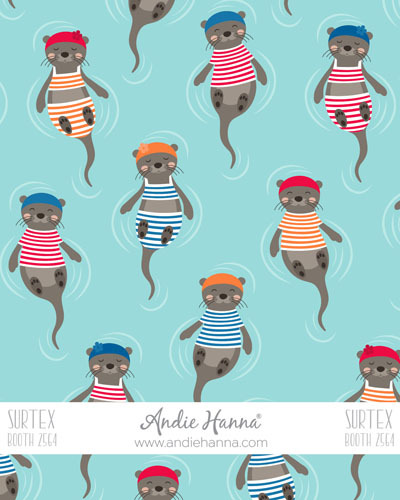 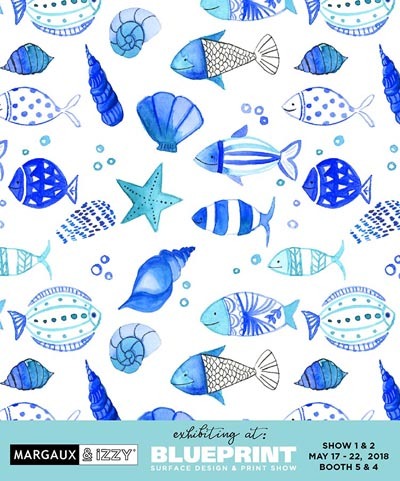 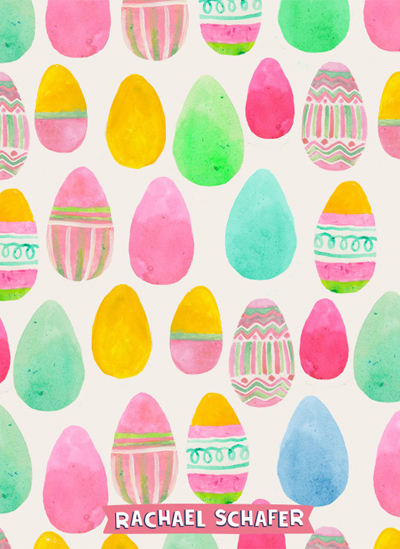 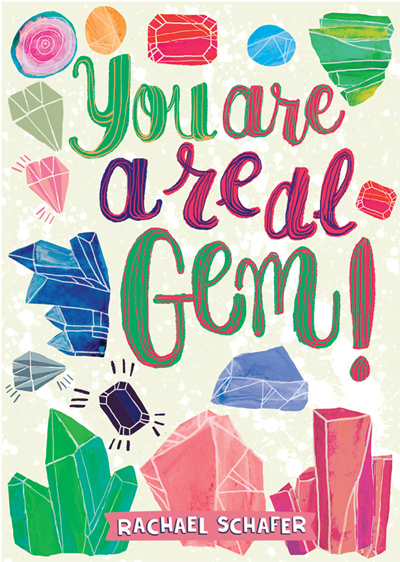 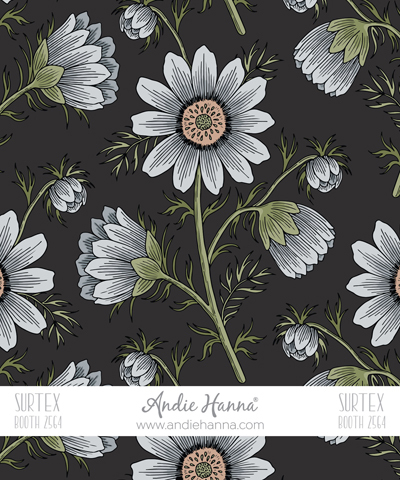 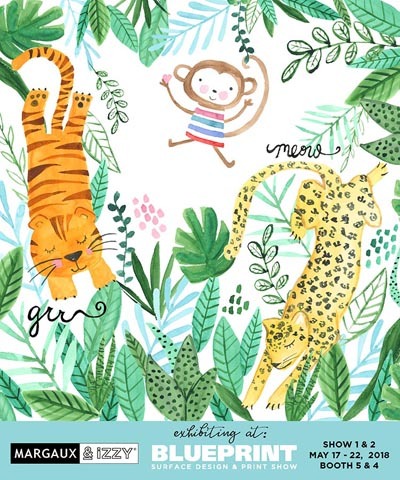 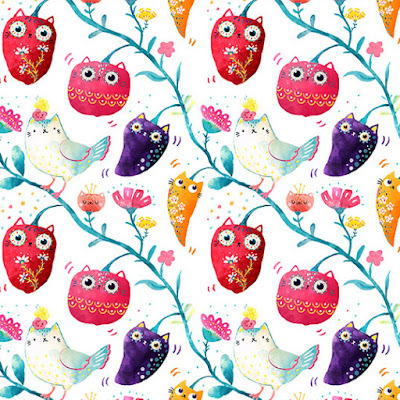 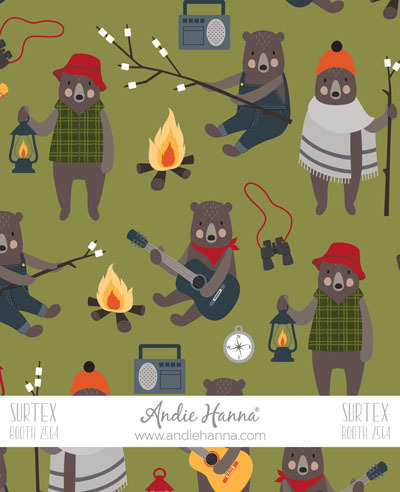 Andie Hanna Designs will be exhibiting at Surtex this year for the 3rd time. 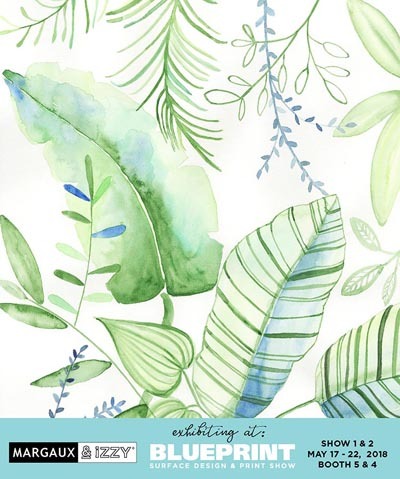 They have developed a great range of clients over the years and have collaborated on a lot of great products and designs. 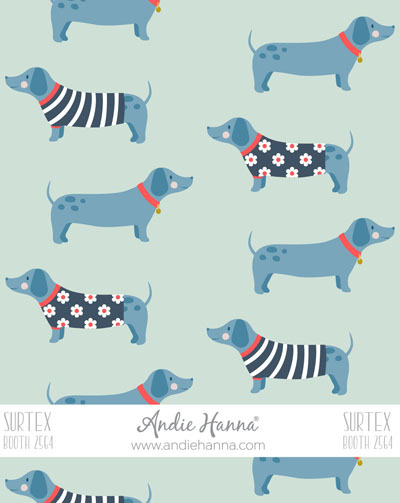 They're are looking forward to some face-time with their current clients as well as meeting lots of new clients that they can partner with in 2018. 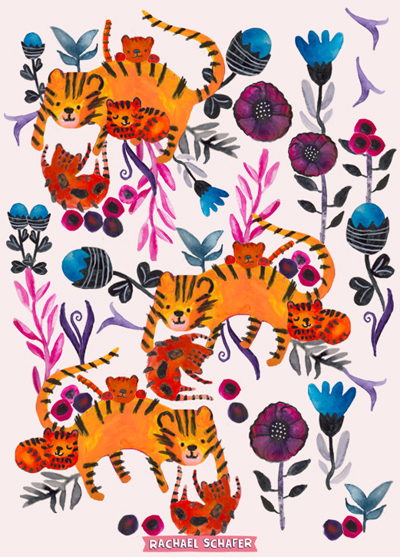 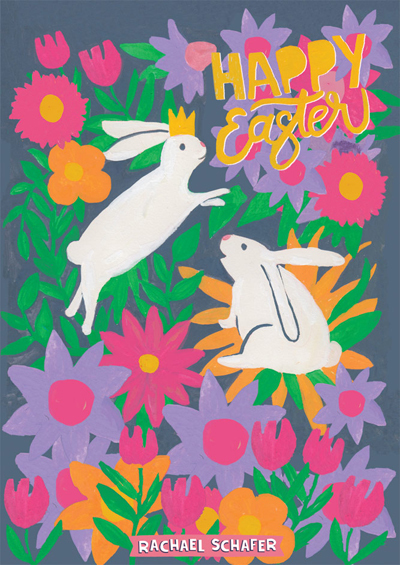 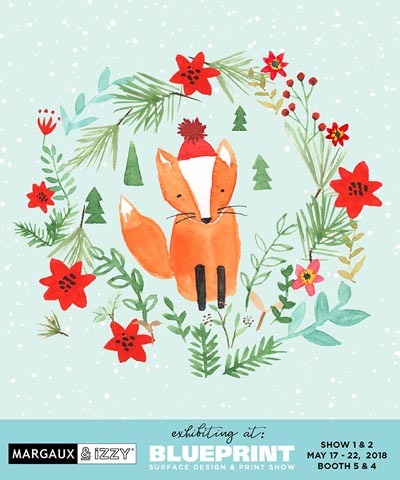 Andie Hanna Designs is known for it's whimsical animal critters that are full of personality as well as vibrant and intricate botanicals and florals. 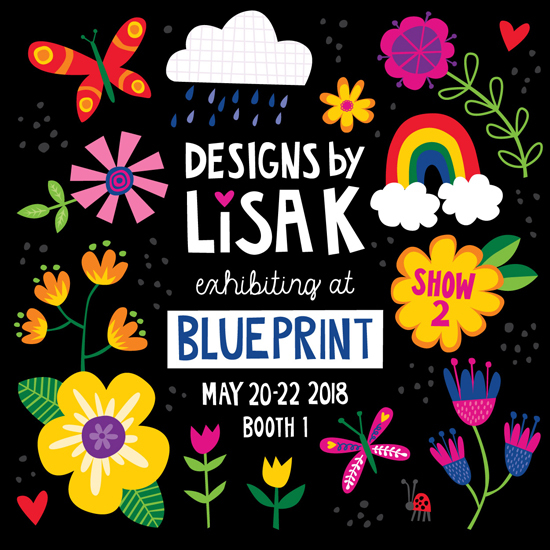 They will be showing a lot of new collections in both categories that are available for license as well as showing prints that are available for purchase.